Self coiling spiral hoses with swivel connectors in three different materials for different demands and environments. These hoses cause very little pressure drop, even in the longest lengths. Max. operating temp. = 85?C (185?F). 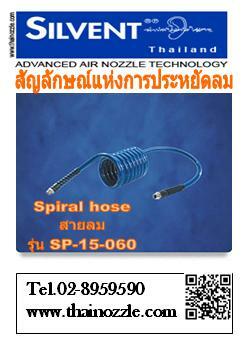 SN - Low-cost polyamide spiral hose. SP - Standard polyurethane spiral hose. SA - Top quality reinforced polyurethane spiral hose.